From social media star to the courtroom. Say hello to your future attorney, Kim Kardashian West. Ask anyone if they know who Kim Kardashian is, most of them will answer yes. Social media mogul, wife to hip-hop rapper Kanye West, and star of her own reality show which has now spanned up to 16 seasons. If there’s anything the media knows about Kim is that she likes taking selfies, can be quite sassy at times, has a few bimbo moments ("I lost my earrings in the ocean") and also, a loving mom. But if someone were to say that Kim is currently studying law in hopes to become an attorney one day, one’s natural reaction would probably laugh at it or think it’s just a joke. Well, it turns out that it’s EXACTLY what she’s doing right now. In a recent interview with Vogue, the mother of three revealed that she’s currently pursuing a four-year law apprenticeship at a San Francisco law firm in hopes of passing the California bar exams by 2022 and becoming a lawyer one day. In case you’re wondering if she’s even qualified to become one since she has never graduated from college (she dropped out), well, it turns out that some states in the US such as California allows to-be attorneys to intern in a law firm for four years before taking the bar exam. “I just felt like I wanted to be able to fight for people who have paid their dues to society,” Kardashian told Vogue. The reality star was inspired to study law after she successfully helped petitioned to US President Donald Trump in 2018 to pardon Alice Marie Johnson, a 63-year-old great-grandmother who served 22 years in prison for trafficking cocaine. Johnson was pardoned in June last year. 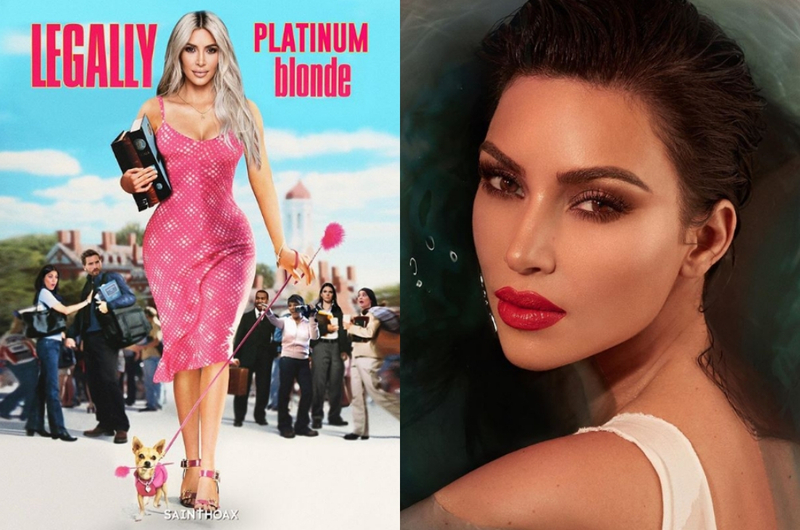 Well, who knows, Kim will turn out to be a great lawyer like her late dad, Robert, and at the same time, a stylish one like Elle Woods from ‘Legally Blonde’.